Update: Leonard Cohen has died at the age of 82. On his fourteenth studio album, You Want It Darker, Leonard Cohen's summation of life, love, spirituality and mortality is keenly resonant: at the age of 82, his diminished physical health has restricted his mobility, but not his artistic drive. The Montréal-born singer, songwriter, poet and novelist has always existed on an erudite plane in his lyrics and music. His adroit dissection of relationships — whether with lovers, a higher being, or a cause — stretches from turmoil to tenderness. Recent rumors (and headlines) about Cohen's impending passage from this mortal coil have been exaggerated. In a comprehensive October 2016 interview with The New Yorker's David Remnick, Cohen was quoted that he was "ready to die." But on October 13, during a discussion at the Canadian consulate in Los Angeles, Cohen backed off from that dire pronouncement and laughed about his penchant for hyperbole: “I’ve always been into self-dramatization. I intend to live forever," said Cohen. He later added, "I hope we can do this again. I intend to stick around until 120." 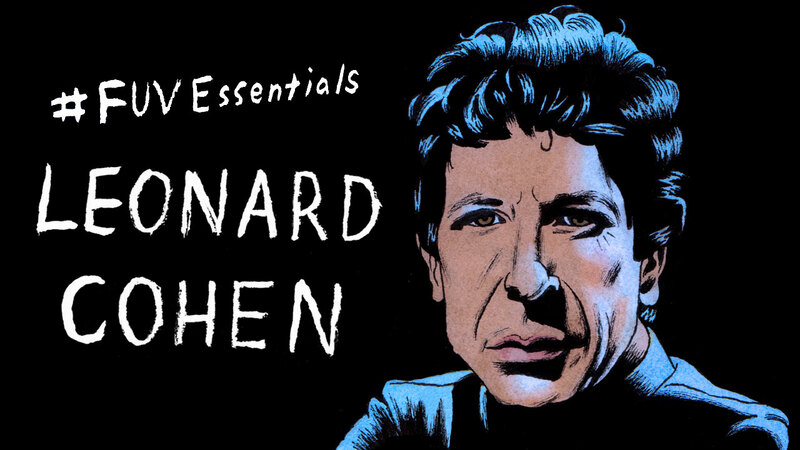 Since the release of his 1967 debut, Songs of Leonard Cohen, and the album's many masterpieces like "Suzanne," "So Long Marianne" and "Sisters of Mercy," Cohen's fans have felt an intimate connection to music's gruff bard and holy man. Cohen's carefully crafted songs, which often take him years to write ("Hallelujah" took five years to complete), are journeys of confessional insights that scrutinize sexual escapades or romantic encounters, scrape at the brittle dissolution of love, study sociopolitical unease, and embark on spiritual walkabouts. All are nakedly offered via Cohen's grave, husky baritone (which has deepened to a smoky grumble over the years). Few songwriters have explored religious themes without proselytizing as Cohen has too — his songs speak easily to the soul, straddling both the secular and the sacred. Tucked within Cohen's more melancholy albums, like 1971's Songs of Love and Hate, are sunnier rays of joy and humor too. On You Want It Darker, a wry narrator guides listeners on "Traveling Light" and older songs like "I'm Your Man" or "Is This What You Wanted?" reveal a man more likely to laugh than mourn. Bob Dylan, a newly burnished recipient of the Nobel Prize in literature, discussed his friend's music with Remnick for the New Yorker profile on Cohen. “His gift or genius is in his connection to the music of the spheres,” said Dylan. “When people talk about Leonard, they fail to mention his melodies, which to me, along with his lyrics, are his greatest genius,” continued Dylan. “Even the counterpoint lines—they give a celestial character and melodic lift to every one of his songs. As far as I know, no one else comes close to this in modern music." For his sagacity, resilience, spiritual teachings, sly humor, courageous candor and beautiful, lusty songs — Leonard Cohen will always be one of our FUV Essentials.